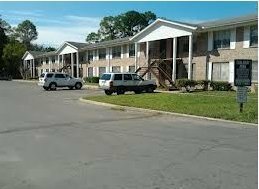 Students and staff looking for affordable housing that is not too far from the University of Florida campus should check out Gardenia Gardens. This apartment community features two and three bedroom units with washer/dryer hookups. Located in the northeast part of Gainesville, residents here are close to the airport, Duval Park, and Morningside Nature Center. Gardenia Gardens is located less than five miles from the center of the University of Florida campus. While it is a bit far to ride a bike, driving to campus only takes around 20 minutes. To reach your campus destination, simply go west on NE 8th Avenue (which, once you are west of Main Street, it becomes NW 8th Avenue), then make a left on NW 13th Street to go south. NW 13th Street becomes SW 13th Street at University Avenue, and it runs along the east side of campus. Turn left onto Museum Road, which cuts directly through campus. For classes in or near Library West, Tigert Hall, and Little Hall, turn left on Newell Drive to go north and reach your destination. If you need to be on the southern side of campus where the medical buildings, College of Pharmacy, and College of Dentistry are located, turn right on Newell Drive or Center Drive to go south. There are several parking areas located across campus both on the north side and south side of campus. Students may also prefer the Park-n-Ride, where you can park your vehicle on the edge of campus and ride the bus across to class to avoid having to fight for a parking space or drive to several different spots depending on where your classes are. For students and staff wanting to take the bus to class and other destinations, there are two bus stops less than a block away. One is the #3 route, and the other is for the #26 route. Both of these cover the east side of Gainesville but stop at the Rosa Parks Downtown Transfer Station. To get to nearly anyplace on campus, take either route and then transfer to the #1 route which goes through campus and stops at Butler Plaza, a popular shopping and dining area. Other locations near Gardenia Gardens include the Gainesville Regional Airport and Morningside Nature Center. Several grocery stores are nearby, including a Publix and a Save-a-Lot, and there are also churches and parks within walking distance.